This week’s Power Food is Oranges! The word “Orange” was first used for the color and not for the fruit. Oranges can be consumed raw, in the form of juices, marmalade or as a part of various desserts. Juicy and sweet and renowned for its concentration of vitamin C, oranges make the perfect snack and add a special tang to many recipes; it is no wonder that they are one of the most popular fruits in the world. 85% of globally produced oranges are converted into orange juice which is often served with breakfast in the western societies. Believe it or not, Oranges are domesticated so you are unlikely to find them growing naturally in the wild. Almost 70 million tons of oranges are produced each year. One-third of commercially available oranges originate from Brazil. In Jamaica, people use orange peel to remove grease and oil spots. 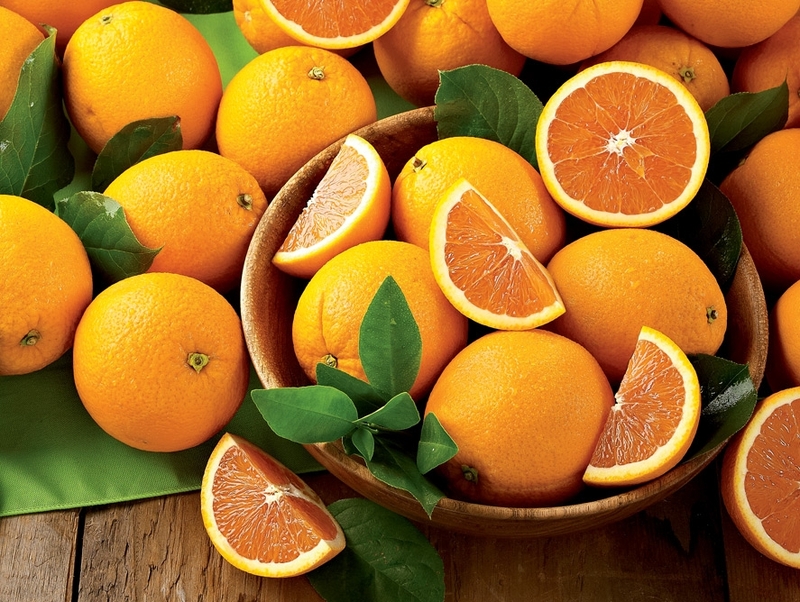 Oranges are an especially rich source of folate, also known as, folic acid. One orange holds about 50 mcg, and a large glass of fresh-squeezed juice may contain even more. Folate is a B vitamin that is essential in the human diet. Being an essential vitamin means that humans cannot make it, and need to get it in the diet. Folate is important in many functions in the body, mainly for making and repairing cells. It is especially important to produce healthy red blood cells. Their high folate content has a positive action on cardiovascular, and emotional health. Researchers suggest that maintaining a consistent dietary intake of folate is essential to managing metabolism and protecting long-term health. This is why Oranges are the Power Food of Growth Machine, for their help in making cells in your body so you can grow big and strong! 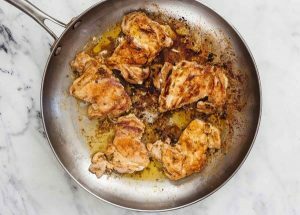 Chicken thighs, pounded thin, marinated in a mixture of orange juice, onion, garlic, herbs, and chipotle, then quickly pan-fried. Delicious! 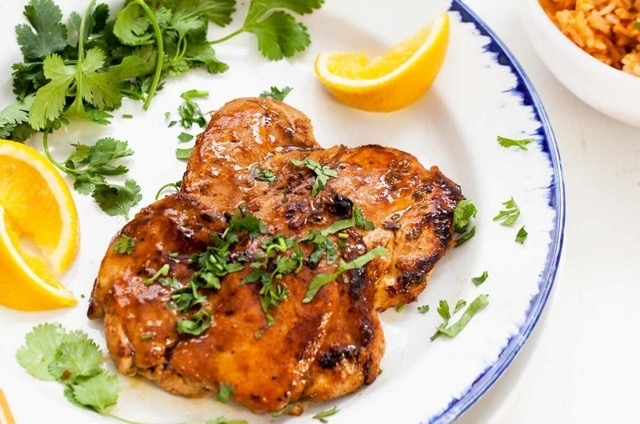 1 Make the marinade: In a blender or food processor, combine the orange juice or chopped oranges, onion, chipotle in adobo, garlic, cilantro, rosemary, thyme, marjoram, and salt. Pulse a few times to make a coarse purée. Transfer to a large bowl. 2 Trim the fat from the chicken thighs: With scissors, snip off the excess fat from the thighs. 3 Pound the chicken thighs to even thickness: Put the chicken thighs between two sheets of plastic wrap or wax paper and pound with a meat mallet or rolling pin until an even thickness of about 1/2-inch. 4 Marinate the chicken: Add the chicken to the bowl of marinade (or transfer both to a zipper freezer bag). Refrigerate 2 hours or overnight. 5 Cook the chicken: Heat the olive oil in a large cast iron pan or heavy skillet on medium-high heat. Remove the chicken pieces from the marinade, blotting off the excess (but not all) with a paper towel. Working in batches, cook the chicken pieces for 5 minutes on each side, or until browned and cooked through. 6 To serve: Sprinkle the chicken with chopped cilantro or parsley, garnish with orange wedges and serve with Spanish rice.